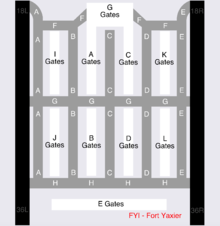 Difference between revisions of "Fort Yaxier International Airport"
For air gates, go to the bottom of the page. For other modes of transit (bus, boat, minecart rail, warptrain), place a request on the talk page with transit type, company, and destinations. Do note that the transit connections will not be available until a much later date. The airport is effectively operational in terms of intra-facility systems. The ring road and tracks, as well as its connection to Fort Yaxier, will be constructed over the next few weeks. All airlines may paste in and set up their flights at any time. Fort Yaxier International Airport (FYI) is an international airport located south of Fort Yaxier in the snow plains biome of Tribiome Island. It was designed to be a high density airport and a central hub for many airlines and their flights, as well as for other modes of transit to a somewhat lesser degree. 1Indicating usable space for planes outlined by (and including) the large quartz perimeter, i.e. 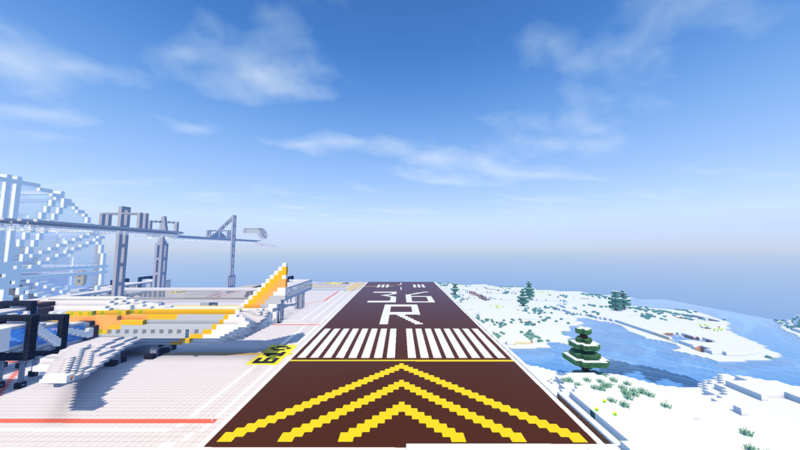 apron, tarmac, and runways. The terminals are fully within this space, but the ring road and transit stations are not (and thus not counted). 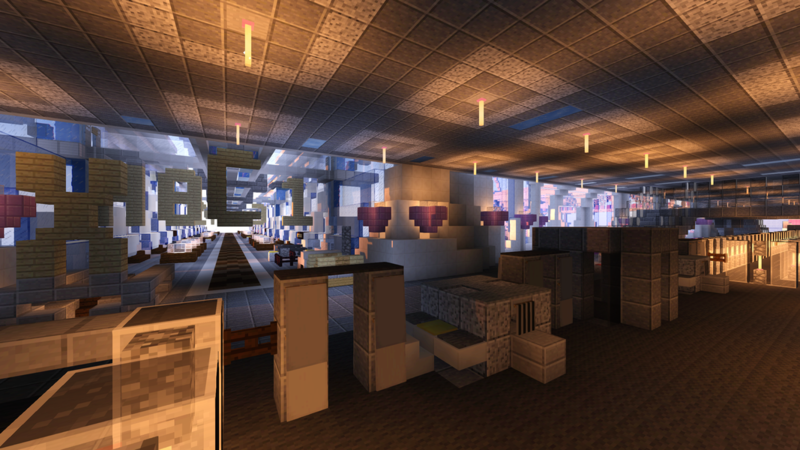 FYI is a near-futuristic airport with unique elevated terminals and a main terminal with a distinct alien UFO-like look with its large oval windows, stark colors, and frequent use of elevators and walkways. 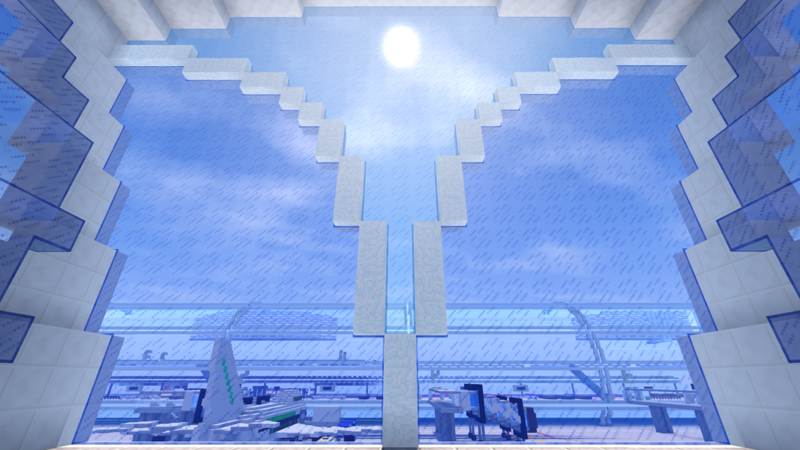 The airport experiments with the efficient use of space to maximize gates while maintaining realism. The solution was a semi-elevated terminal with indents under it that allow regular planes to be parked slightly under the terminal, while it maintaining structural integrity. Small planes, designated Concourse G, are parked under the main terminal due to its ability to fit and easily maneuver amid supports, and helicopters, designated Concourse H, are located next to them in the open. 2 private landing pads are also located on top of the terminal at the junctions of the main terminal and the two concourses. Concourses A and C are structured as southern prongs from Terminal 1 and B and D are partly separated concourses as extensions of A and C. Concourse F serves as the airfield portion of the airport, located just north of Concourse C.
Terminal 2 is a fully separate terminal south of Terminal 1, containing Concourse E for large planes. 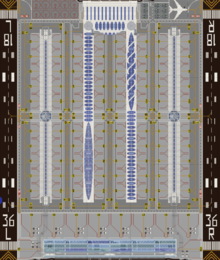 Terminals 3 and 4 (Concourses I-L) are separate and fully individual terminals located on either side of Terminal 1, with each containing 2 concourses. Each terminal's concourses are joined in the center with a large rotunda containing amenities. The terminals' check-ins/security and immigration/customs are located underground spanning the area between the terminal and the adjacent runway. They are accessible by road and train on landside by the ring road, and connected airside by a circular airport shuttle and shuttle buses. Concourses A-D each have unique roof elements, with the artwork named after the 4 movements of the Cascadian Concerto, each representing a season. In order from Concourses A-D, they are named Glistening, Sundrenched, Windswept, and Snowcapped. 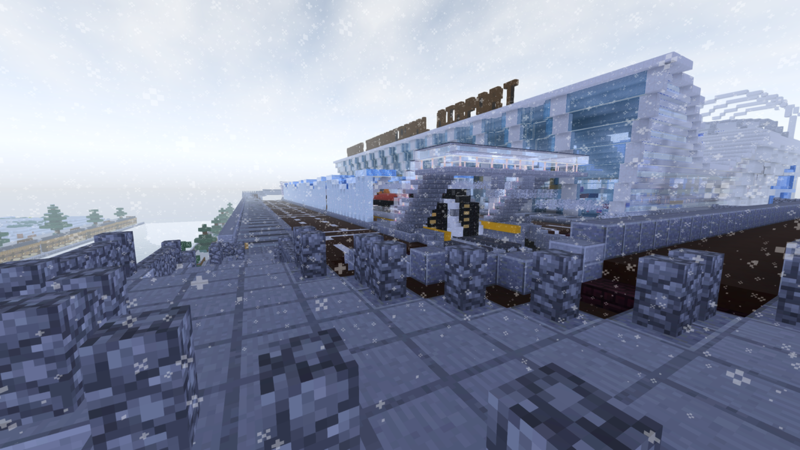 The airport's terminals are accessible by a combined ring road and railway serving all 4 terminals. Local service consists of airport express trains operated by Fort Yaxier using E259 3-car multiple-working trainsets terminating at Elecna Bay International Airport, with direct airside service available. Transportation by other companies may be provided. All terminals are also accessible by shuttle or bus airside. Bidirectional perimeter loop with airside service at all stations and landside services at Terminals 1 and 2. Rolling stock consists of 2-car automated maglev warptrains. All stations are fully enclosed and have platform screen doors to ensure safety and security. Most of the check-ins are located at the entrance of Terminal 1, in 5 blocks of 8, 4 check-ins on each side. Airlines may get more than one check-in depending on the number of gates they have. Airlines in Terminal 2 will be assigned one check-in each located at the terminal entrance, and Terminals 3-4 will have several large check-ins each for the residing airlines/alliances. Gates in Concourses A-D are accessible as branches of the main terminal. Heli and ground gates are accessible just after security from the junctions of the main terminal and concourses A and C, respectively. All Terminals are accessible by an inter-terminal train airside. View from Terminal 2 Gate E5 waiting area of a SkyTrans Boeing 747-SP being serviced. Elevated arrivals hall of Terminal 2. View from a plane on approach from the south to runway 18-36R. Terminal 1 facade with Yaxier Canal in the background. View from the eastern security checkpoint of Terminal 1, looking down Concourse C.
View from the southern end of Concourse B towards Terminal 2. On September 29th, 2017, a Boeing 747-8 operated by FernAir (Flight 007) crashed into a mountain 300 meters south of runway 36R, while en route to Timbucktoo. The cause has been determined to be a contaminated refueling pipe leading to a mid-air explosion shortly after takeoff and a loss of all aircraft control. There were 74 fatalities and 128 injuries, with 22 uninjured. Please read all info below before requesting gates as they are important. Use separate rows for each gate request. (For multiple destinations on the same flight, place on the same row). If you do not have access to wiki editing, ask another member to add your flight or /mail camelfantasy in game with all of the information listed on the table. If you have any questions about the below information, ask Camelfantasy. Gate sizes: Regular gates are approximately 41 wide and 45 long, while small gates 1-14 are approximately 15 by 21. Large gates are approximately 61 wide and 71 long, and heli gates are 25 in diameter. Gate types: Under Gate Type, list either Regular, Small, Heli, or Large, in order of preference if multiple types are available for that destination(s). Large gates should be planes at least 45-51 wide/long. For only these, specify the plane dimensions (width x length) as well. Exclusive Concourses: Several concourses can be used as personal customizable concourses (10 regular gates each) for airlines or airline alliances with a significant number of gates at the airport. 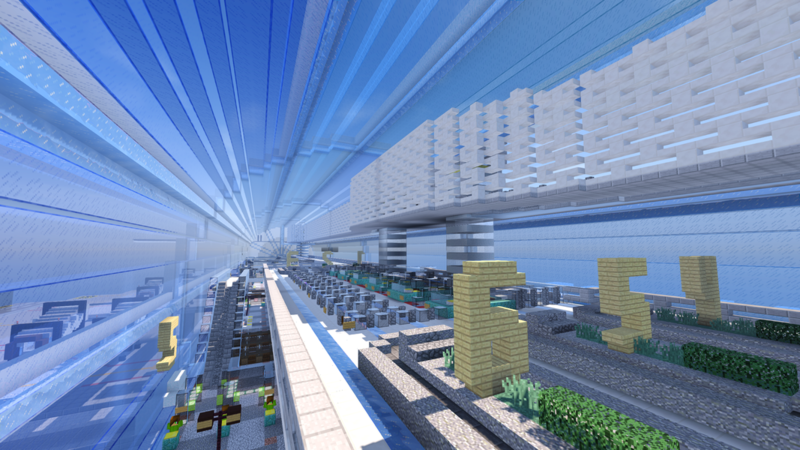 If you would like to own one of the concourses, contact Camelfantasy. If you already have ownership of one of these, you do not need to fill in the destinations and gate type columns for the first 10 medium gates. You will need to for any medium gates past that amount, or for other size/type gates. Airline-gate info: There is no limit to the number of gates an airline may request at this time. 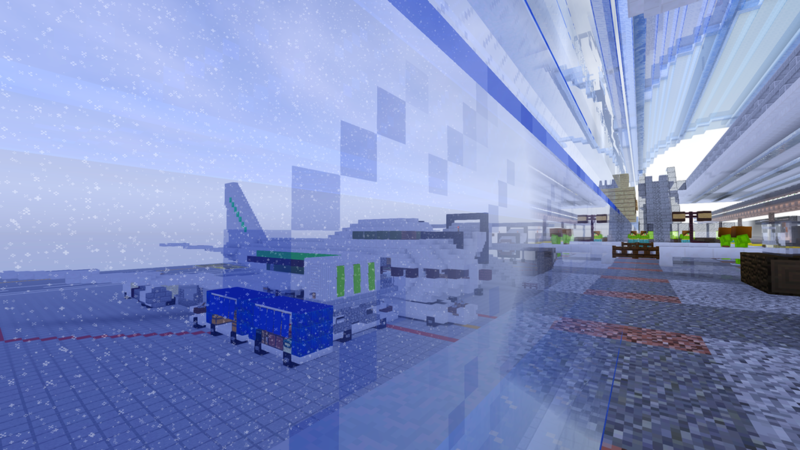 Airlines with multiple gates will have them grouped together as close as possible. Multi-stop flights are allowed, so long as the number is kept realistic. However it is preferred that each plane only has 1-2 destinations due to the large number of available gates. Existent of destination: Please only request flights to airports where you already have permission for the flight or will within 1 month. Flight Status: Flights must be set up within 30 days of the official airport opening or announcement of gate assignments, whichever comes last. Exceptions can be made. Military: An airfield is available, for which any allied forces of the FAF are welcome to request space for their aircraft and ground vehicles through a message to Camelfantasy. By having flights at Fort Yaxier Airport, you agree to the following terms and conditions. Failure to comply may result in of the removal of the flight and/or airline, and a report for severe cases. The following conditions also apply to other forms of transit serving the airport (bus, train, boat, etc. ), with the appropriate terminology substituted.